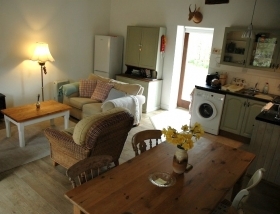 Crossbill Cottage is our beautiful barn conversion, completed in 2011 into a modern warm and well insulated cottage. 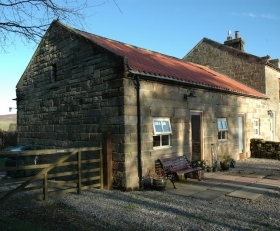 It is situated in a secluded, tranquil location at the end of a farm track in a rural position within the North Yorks Moors National Park. The original beams, high ceilings and open plan living area give the cottage a light and spacious feel. The cottage is named after an exceptionally rare two barred crossbill which was sighted here and brought many "birders" from all around the country. As well as being an ideal location for bird watching the area is also a haven for walkers with many footpaths direct from the doorstep. The more challenging Coast to Coast and Cleveland Way walks are located just above the property with rock climbing at the Wainstones just a short walk away. 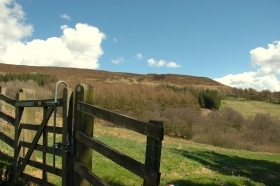 Bilsdale is renowned for its spectacular views over hills and moors. Whether it&apos;s simple rest and relaxation you&apos;re planning, or a holiday exploring the many places of interest in the local area, Crossbill Cottage is the perfect place to stay.